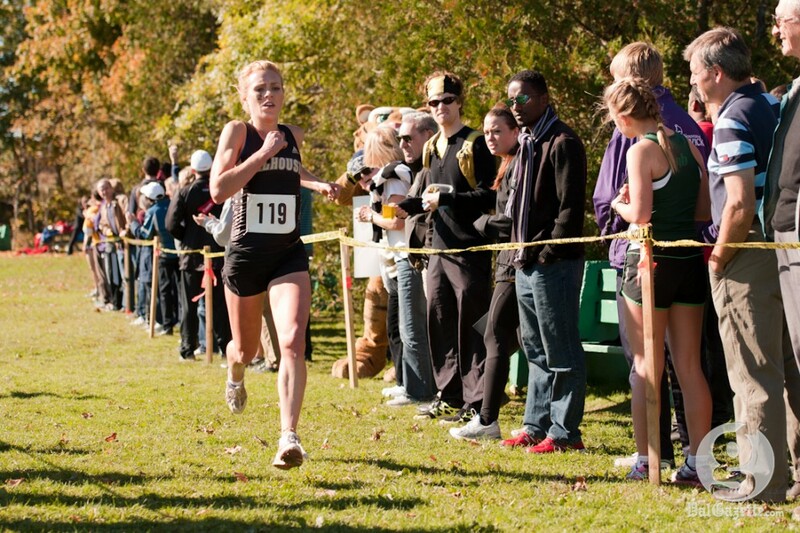 Dalhousie and St. Francis Xavier have been the premier cross-country programs in their conference for over a decade. On this past Saturday at Point Pleasant Park, the runners from Antigonish made their case for why they are the best program in 2012. St. FX swept the podium in the team competition at the AUS cross-country championship Oct. 27, reclaiming their banner in the men’s race. They also, in what was more of a surprise, snatched the women’s crown from Dal’s grasp. The Tigers were left to play second fiddle as a result. They came second place in team scoring behind St. FX, and Matt McNeil and Holly Van Gestel earned individual silver medals, crossing the line for the Tigers just off the winning pace in the men’s and women’s races, respectively. This marked Dal’s first league meet without receiving a banner since 2009. For Tigers head coach Rich Lehman, surrendering the top spot to St. FX was not an unexpected turn of events. In the women’s 5km, Van Gestel, last year’s gold medal winner, overtook Memorial’s Caroline McIlroy midway through the race to jump to second place. The graduating Tiger, however, was unable to close the eight-second gap between her and UNB standout Frida Aspnaes. The black and gold also received top finishes from Ellen Chappell in 7th, Emily Clarke in 10th and Vanessa Linton in 12th. Only a few minutes after Van Gestel crossed the line, a scary moment occurred when Anna von Maltzahn, the Dal basketball star who joined the cross-country team as well this fall, collapsed of dehydration. A crowd of concerned friends and teammates quickly gathered around the runner, some screaming for an ambulance that was nowhere to be found. Von Maltzahn, who was brought to hospital for examination and was cleared to leave that evening, was Dal’s third-ranked runner until she fainted before the finish line. If she had maintained her placing, it may have been enough for the Tigers to have taken the top ranking. Team scores are calculated by totalling the placings of each school’s seven runners. The program with the lowest number, St. FX in both cases, would win. In the men’s 10km, Dal’s Matt McNeil combatted a swarm of competitors in a competitive lead pack to finish in second. The gaps between the top four runners only began to widen considerably in the final loop. “I wanted to wait until the last lap to make a move but he actually made it sooner than I thought he would,” says McNeil. Following the second-year’s showing, the next Tigers to cross the line were Bruce Russell in 8th, Jake Moore in 14th and Joel Bergman in 18th. Despite St. FX wrangling the top team spots this past weekend, the rivalry between the Nova Scotian schools is far from over. It’s a reality St. FX coach Bernie Chisholm is very much looking forward to. The Tigers will be sending Van Gestel, Chappell, Clarke, Linton and Ashley Chisholm on the women’s side. Representatives from the men’s team are McNeil and Russell.